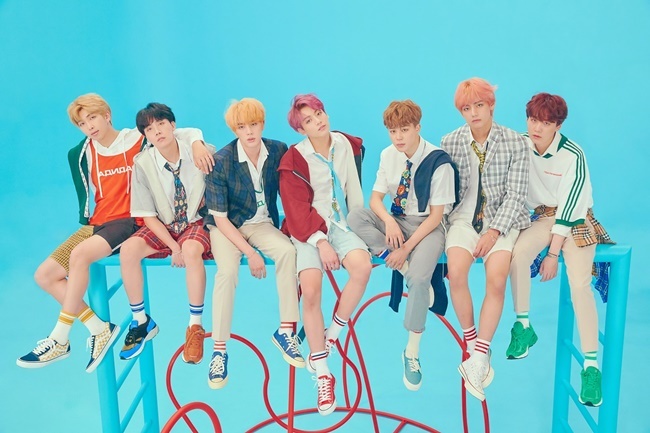 BTS breaks yet another record for being the first Korean artist group to enter the Year-End Billboard 200 Albums and Artists Charts! On December 4, Billboard released its 2018 year-end charts. These charts measure each album, song, and artist’s year-around performance in the United States, based upon the Billboard magazine charts during the chart year. For this year, BTS broke another record for becoming the first Korean group to land No. 21 on the year-end Billboard 200 Albums and Top Billboard 200 Artists charts. This was resulted from their excellent performance from the past year, where they landed Billboard 200 Album chart with three of their albums. “Love Yourself: Answer” placed No. 85, “Love Yourself: Tear” placed No. 101, and “Love Yourself: Her” placed No. 150. Furthermore, the group also placed No. 8 on the year-end Top Artists chart, which was 2 spots up from where they were in 2017. For the Top Artist/Duo Group chart, they received No. 2 and for the Social 50 Artists chart, they received No. 1. Lastly, the group also placed No. 1 on the World Album Chart, as well as the Independent Artists chart.